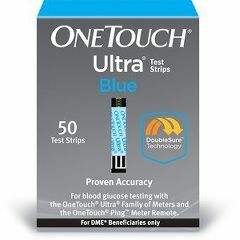 AllegroMedical.com offers a premium assortment of glucose test strips and diabetic blood glucose test strips from the industry’s leading brands. Choose from such familiar names as EvenCare by Medline, FreeStyle by Abbott, Omnis Health, Bayer Diagnostics, Ascensia, GE by Veridian Healthcare and many more. You will find glucose test strips, diabetic test strips and blood glucose test strips for every device or need, and you can purchase in a wide range of quantities to save more and remain stockedup and well supplied. AllegroMedical.com offers only the highest quality diabetic supplies accessories at the lowest prices guaranteed, including all kinds of glucose test strips. See our Best Price Guarantee for more details.